The Wolverine is going to die. Like, totally and for sure this time. about your dark past. Seriously. possible that the character called Wolverine has gotten a little over ripe. Fox’s advertising push for their forthcoming Fantastic Four reboot movie. competition in the far more lucrative movie space? 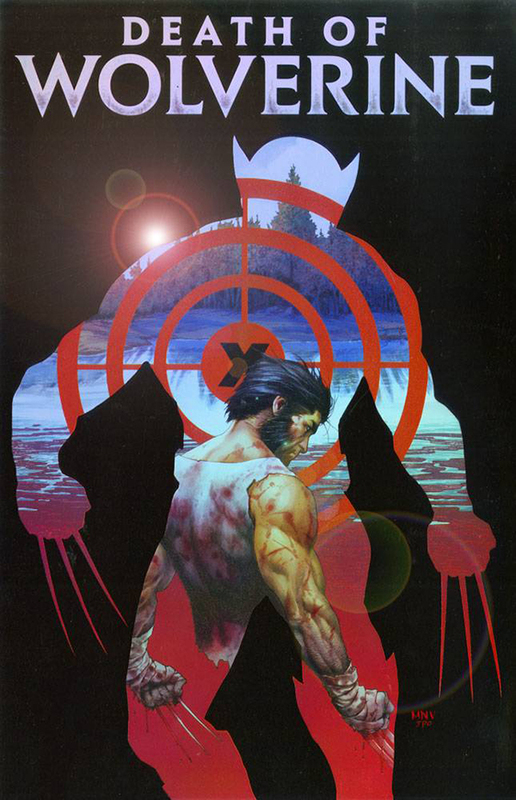 Wolverine inevitably comes back, how much will have really change? It will be Wolverine — WITHOUT THE SIDEBURNS! I’ve never quite understood the “Marvel is cancelling the FF to screw Sony” rumor. I mean, this is a company that barely manages to put out new comics with the characters they DO have cinematic control over. Even then, does anyone outside of the existing comics fandom care? Is anyone really likely to say “Oh my god, there’s no Fantastic Four comic, screw seeing the movie”? Or are they more likely to say “Wait…this is based on a comic? I thought it was a reboot of the one with Jessica Alba in it”?